The Skyward II is a great option for the skier seeking the utmost in breathability and ventilation in a shell ski jacket. The Outdoor Research Skyward II is a little bit of an outlier in this test. This shell ski jacket is seemingly designed with air permeability, breathability, and ventilation as some of its highest priorities. This is evidenced in their use of highly breathable and air permeable AscentShell 3-layer fabric and their Torso-Flo vents which can open the shell from the hem of the jacket to the bicep. These massive openings allow for an impressive amount of ventilation making this jacket ideal for spring skiing, skiers who tend to run hot, and backcountry skiing. It also provides a good level of weather protection, although the lack of a powder skirt makes it a little less ideal for resort skiing in stormy conditions. The Skyward II has an excellent pocket layout and a unique hood lock adjustment for use with or without a helmet. Overall, we'd be more likely to suggest the Arc'teryx Sabre or the Flylow Gear Lab Coat for all around use, but this would be our go-to for warm weather resort or backcountry skiing. Outdoor Research was founded in the early 1980s with a modest line of products that aimed to improve upon what was already available in the market. Since then, the company has grown significantly, and in recent years their outerwear line has also grown in both size and popularity. Their Skyward II shell is a new model in our ski jacket review and sets itself apart from the competition in many ways. It is most definitely a well-designed shell that boasts the highest levels of breathability and ventilation. We also found it to be a versatile option that has great potential for both resort and backcountry skiers. The Skyward II is a great option for the right skier in the right conditions, but in the end, it was bested by some of the competition in this review overall. Testing the Skyward II while cruising some groomers early in the season. We also took it for a ski tour or two. As with all shell jackets, the Skyward II offers little in the way of warmth for the wearer other than protection from the elements. In general, people who choose a shell ski jacket do so as part of their own layering system. People who layer their ski clothes can then choose their insulating layers as they see fit and protect themselves with a quality weather resistant shell like the Skyward II as the outermost layer. Insofar as blocking wind, keeping you dry, and wicking moisture away from your insulating layers, the Skyward II performs these tasks well, which helps to keep you warm. What you see is what you get. The Skyward II is better at keeping you cool than keeping you warm. Obviously, all of the insulated and 3-in-1 models inherently offer more in the warmth than the shell-only competitors. For the sake of fairness, we will compare the Skyward II to the other shell jackets in this test. We score it evenly with the Norona Lofoten and the Flylow Gear Lab Coat, and a just a touch lower than the Arc'teryx Sabre which has a soft, fleecy lining that adds a little warmth. During testing, the weather resistance of the Skyward II was quite good, although it did lose a little ground to the competition here. In both our shower test and use in the field, we found the AscentShell 3-layer fabric to be completely waterproof. During a hike in a light drizzle, it beaded water very well, although we did experience wet-out during the shower deluge. While we don't like the way a wet-out jacket looks or feels, we are confident that this jacket will keep you dry underneath no matter the conditions. It keeps you dry underneath, but we found the fabric to wet-out pretty quickly during shower testing. When you really need to hunker down in this jacket you can, with adjustable velcro wrist cuffs, a barely helmet-compatible hood, and elastic cinches on the hem of the jacket. Testers were a little dismayed by the lack of a powder skirt. While it isn't a total deal breaker, it does take away from the Skyward II's weather resistance score. All of the other shell-only jackets in this review consequently score a little bit higher for their inclusion of a powder skirt and greater weather resistance on stormy or deep powder days. The Sabre and the Lofoten both take top honors for their use of Gore-Tex fabrics, higher quality DWR, and weather tight designs. The Lab Coat also receives high marks for its good design, quality materials, and the option to snap the powder skirt onto compatible Flylow pants. It has a lot of adjustability, but we found the hood to be a bit small with a helmet on. It fits over it, but it pulls up on the shoulders of the jacket. It seems like breathability and ventilation were high priorities when this jacket was being designed, and therefore these are its finest attributes. We'll start with the most obvious part of this equation, the massive "Torso-Flo" vents that extend from the hem of the jacket all the way to the bicep. This gives you the option of completely opening up the lower half of the jacket on both sides; you can wear it like a cape if you choose to. We measured these vents at a whopping 26" in length with waterproof zippers that can open from either end. This gives you the option to open the vents as much or as little as you like depending on the situation. If you're the type who is always sweating and can never seem to get enough airflow, then this is the jacket for you. These vents are huge. You can even open the snap at the hem and basically wear it like a cape. In addition to the huge vents on the Skyward II, Outdoor Research has also used a highly breathable and air permeable material called AscentShell in the construction of the jacket. This fabric does seem incredibly breathable and we noticed very little in the way of sweat condensation on the inside while wearing it. The Skyward is our highest scoring jacket in terms of ventilation. The other shell-only competitors, like the Arc'teryx Sabre and the Flylow Gear Lab Coat, are the next runners up, but none could match the impressive airflow of the Skyward. The Skyward II is somewhat light on ski specific features, but it does have a few niceties that enhance its performance. Our favorite of these features is their highly adjustable helmet compatible hood. They have incorporated what they call "hood lock" into the hood's design which lets the user quickly adjust the size of the hood for use with or without a helmet. This simple system is just a plastic hook, attached at the elastic drawcord on the back of the hood, that hooks to a piece of fabric by the neck to expand or reduce the overall size of the hood. The chest pocket has a mesh sleeve to keep your phone or music device secure and prevent it from flopping around, plus there's a port to route your headphone cord through the jacket. The chest pockets are also well designed for easy access with vertical zippers that are well placed for use with a backpack. Inside the left chest pocket is another small mesh media pocket that helps keep its contents, like your phone, from flopping all around. They've also incorporated a small media port for the cord of your headphones to routed up through the inside of the jacket. Inside the shell, they included two large mesh drop pockets that are suitable for ski goggles or your climbing skins. Plenty of room to stash things in the Skyward. The only ski feature that we truly missed on the Skyward II is a powder skirt. Other than that we can live without the extravagant features that typically go unnoticed if they aren't there. If you're looking for the pinnacle of features we suggest the Helly Hansen Alpha 3.0 that has all the bells and whistles, or the Spyder Leader that is very close behind. If you prefer a shell jacket and a powder skirt is an important feature, then we suggest any of the other shell jackets in this review. The fit of the Skyward II is generally very agreeable. It isn't especially contoured, nor is it overly boxy, it falls into that "just right" zone. The length of the sleeves and torso are both spot on, and while it isn't that roomy, there is enough space in the torso and sleeves to accommodate additional layering pieces. It fits relatively well and is quite comfortable thanks to the soft AscentShell fabric. Overall, the Skyward II is quite comfortable as well. The AscentShell fabric has a good amount of stretch engineered into it and along with the articulated cut of the sleeves allows for great freedom of movement. The inside of the shell fabric is also brushed so that is a little softer and easier on the skin. The fit and comfort of the Skyward II is a little less refined that of the Arc'teryx Macai or the Arc'teryx Sabre, but it is on par with other competitors like the Flylow Gear Lab Coat and the Helly Hansen Alpha 3.0. The Skyward II doesn't get docked for its style, but it's not exactly winning any awards either. While it generally looks pretty casual, it can't hide its technicality, so its a bit of a cross between the two and occupies a crowd-pleasing middle ground. It has a two-toned design with the main body in one color and the sleeves in another. The waterproof zippers on the main zip, pockets, and vents are all quite visible, as is a small OR logo on the left chest. It has a casual but technical look, with a comfortable athletic fit. It doesn't have the super clean lines or aesthetics of the Macai for example, yet it doesn't obnoxiously scream "I'm a jacket made for skiing" like the Spyder Leader. The Skyward II has a broad appeal that help make it a versatile jacket that looks good on the ski hill and you can still wear around town. We feel the Skyward II is best suited to resort and backcountry skiing in warmer climates where ventilation and breathability are paramount. It offers a good level of weather protection, but it wouldn't be our first choice on nasty storm days or deep powder days due to its lack of a powder skirt. If you split your time between the resort and the backcountry, or you're looking for a light, comfortable, and well-ventilated spring skiing jacket, this is a good option. At a retail price of $350, the Skyward II is a good value for the right consumer. If ventilation and breathability are your highest priorities in a ski jacket, then this a good looking and lightweight option to consider. Gearing up for a ski tour in the Skyward II. This is a great warm weather and backcountry skiing jacket. The Outdoor Research Skyward II is a great jacket with a unique design that prioritizes breathability and ventilation. We feel this is a solid choice for the skier seeking the ultimate in air permeability and air flow, perhaps for spring skiing or as part of a quiver of ski jackets. If you are seeking one shell jacket to do it all, we would probably steer you towards the other models in this test, though the Skyward II certainly has a place for the right skier in the right conditions. 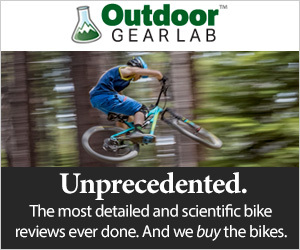 REI $244.83 - 30% off! Backcountry $259.99 - 26% off! MooseJaw $278.99 - 20% off!